The best Popeye comic book stories collected into one glorious collection! 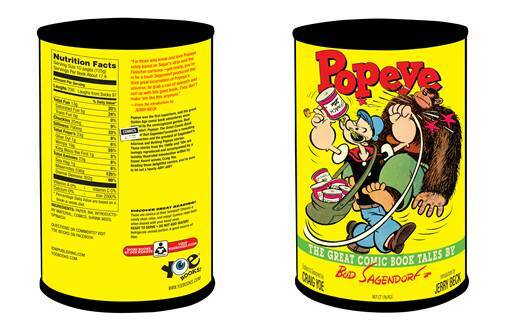 There are three genius incarnations of Popeye - the comic strip by E.C. Segar, the animations by Max Fleischer, and unknown to many, the brilliant 1940s and '50s comic book stories by Bud Sangendorf! 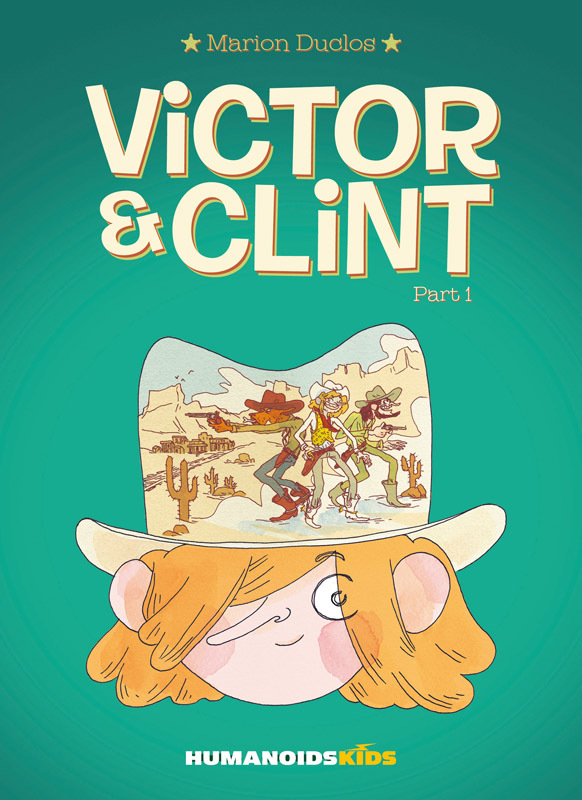 Comics historian Craig Yoe collects and beautifully packages the best-of-the-best of Sangendorf's thrilling and roll-on-the-floor laughing tales. See the Sea Hag, Bluto, and, of course, Olive Oyl, Wimpy, and Sweepea as they join Popeye in these exciting adventures. The Eisner Award-winning team of Jeph Loeb and Tim Sale returns to further the exciting adventures they began in BATMAN: THE LONG HALLOWEEN and followed in BATMAN: DARK VICTORY! Collecting the 6-part series that guest-starred Batman and a host of Gotham's most colorful and dangerous villains, WHEN IN ROME chronicles Catwoman's mysterious trip to Italy and her dealings with the deadly Falcone crime family. 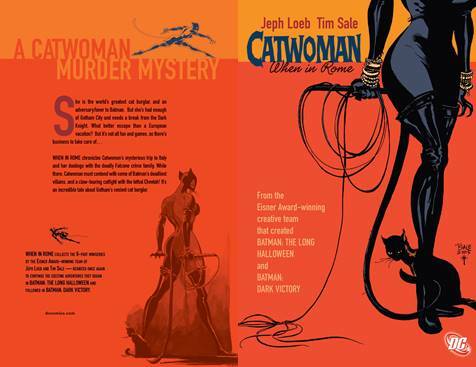 It's an incredible tale of Gotham's sexiest cat burglar! 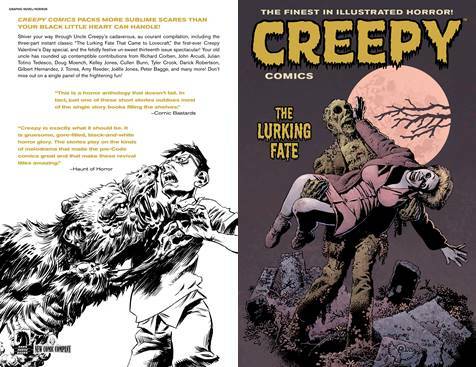 Creepy Comics enters its second half century of horrifying readers! This villainous volume contains some of the spookiest stories yet, including Uncle Creepy's Fifteith anniversary spectacular! 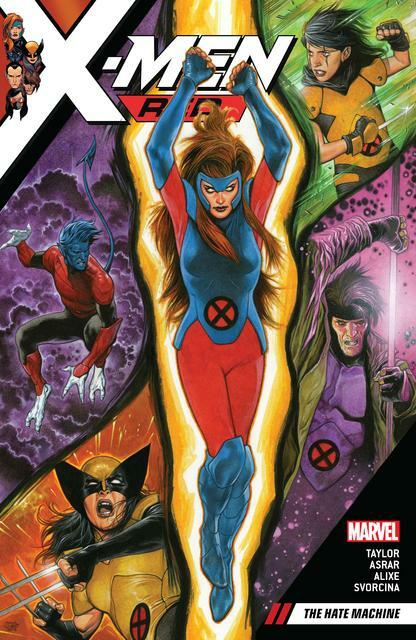 Don't miss malicious missives from Fred Van Lente, Ray Fawkes, Alex de Campi, Richard P. Clark, Matthew Southworth, Tomm Coker, Ted Naifeh, and many more! It's a heap of creep! 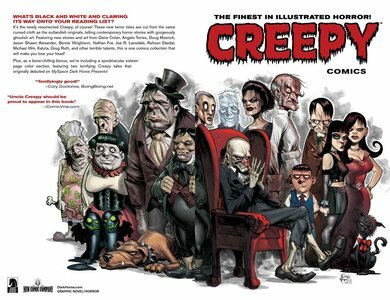 Collects issues #14-#19 of Dark Horse's revived Creepy Comics! 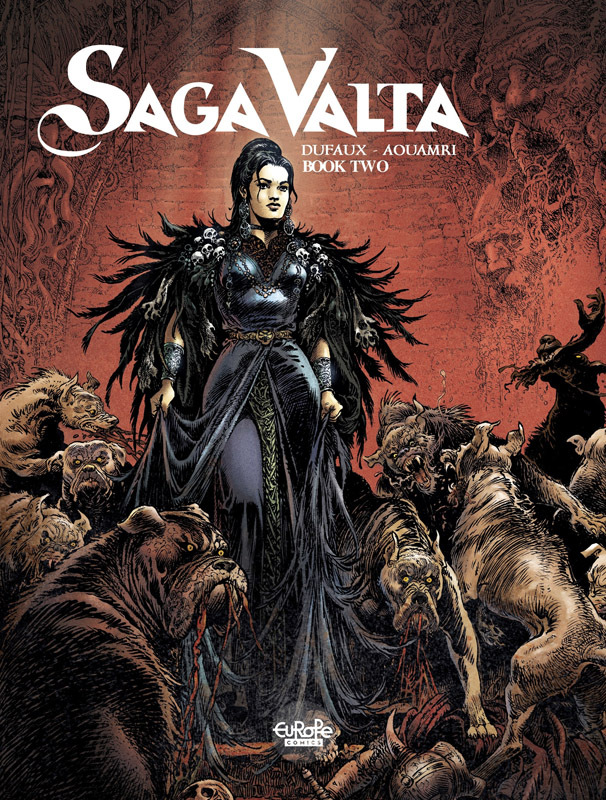 Creepy Comics packs multiple dark dimensions of horror into one convenient, cadaverous collection! 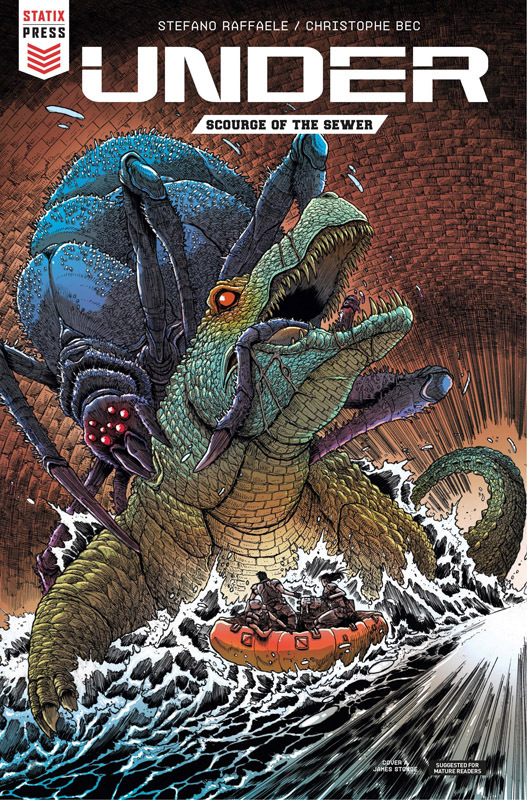 This latest volume of the abominable anthology features over a dozen new terror tales, including Uncle Creepy's instantly classic Lovecraft, romance, and unlucky #13 specials! Our contemptible contributors include, J. Torres, Amy Reeder, Joëlle Jones, Peter Bagge, Dan Braun, and many more! Don't miss out on a single panel of the frightening fun! 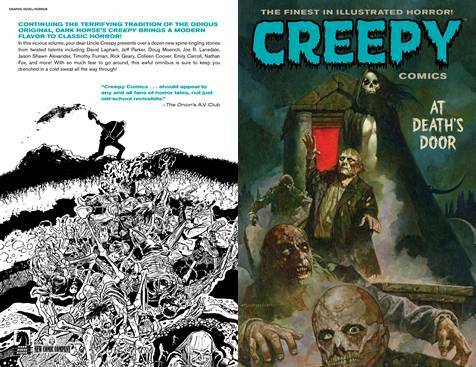 Collects Creepy Comics #10 - #13 and stories from Creepy Comics #8 - #9. Continuing the terrifying tradition of the odious original, Dark Horse's Creepy brings a modern flavor to classic horror! 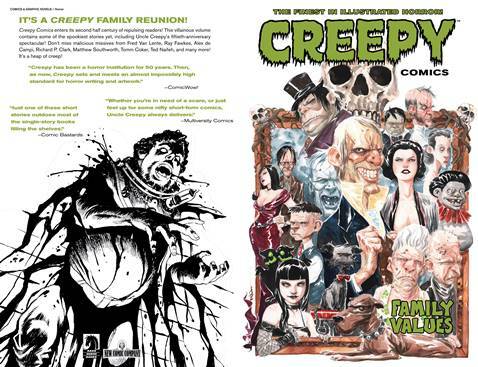 In this vicious volume, your dear Uncle Creepy presents over a dozen new spine-tingling stories from twisted talents including David Lapham, Jeff Parker, Doug Moench, Joe R. Lansdale, Jason Shawn Alexander, Timothy Truman, Rick Geary, Colleen Coover, Emily Carroll, Nathan Fox, and more! 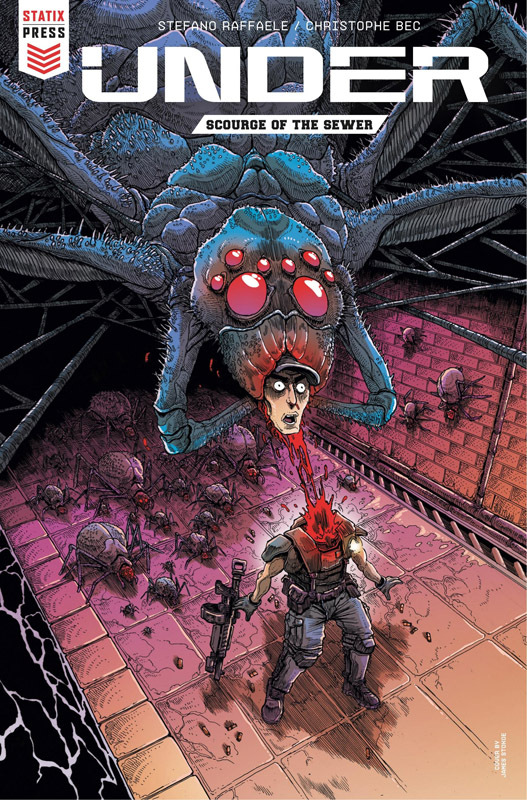 With so much fear to go around, this awful omnibus is sure to keep you drenched in a cold sweat all the way through! 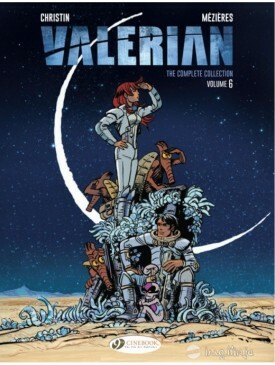 Collecting issues #5 - #9 of the series. 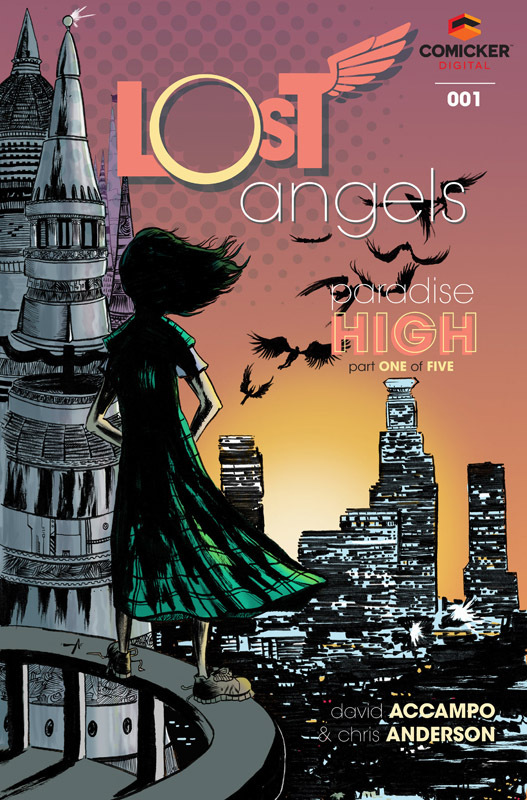 Crime, culture, and coming-of-age take flight in LOST ANGELS - a sci-fi mystery set in a world where Los Angeles residents co-exist with a race of alien angels. As tensions between communities boil over, high school student Alex Martinez must unravel a mystery that takes her from the spires of the Silver City to the ruins of Old Santa Monica. Some people bury their secrets underground. In Megalopolis, the filth flows into the sewers. 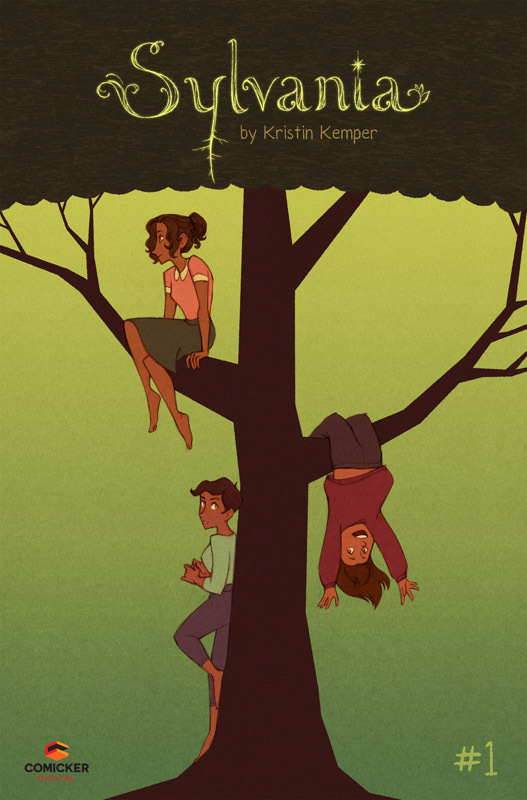 Sylvania is a story about three sisters who are members of an ancient clan of tree witches. As they learn to use the magical powers they were born with, they'll each embark on their own path from the deepest heart of the forest into unknown adventures far beyond its borders. The authorized biography of the WWF legend and brother of the Macho Man Randy Savage, Lanny Poffo! At various times wielding the monikers Leaping Lanny and The Genius, his story is revealed in personal interviews with wrestling historian and writer John Crowther. Renowned for his trademark poetry disparaging opponents (and, perhaps, the local fanbase...), as well as his high-flying wrestling style (he was one of the first to unleash the Moonsault and Senton Bomb on opponents), Lanny Poffo's career of 20+ years sprang from the Poffo family of wrestlers, including his father Angelo and his brother Randy. In this comic, follow his path to the world of sports entertainment and experience the poetry in motion and in words that personified The Genius Lanny Poffo!